Whether this book is good or bad will depend on what you were expecting. Imagine you're an investor and looking at a game to invest in. This is the sort of book you'll get to see the game concept and characters. 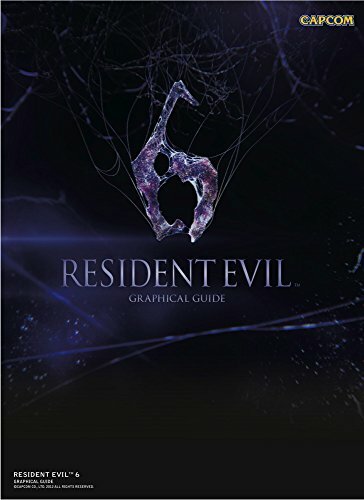 This is the guide that gives you more background information relating to the characters, zombies and game system in Resident Evil 6. It has only 96 pages though so it's not that in depth but I would say the writeup is adequate. The character parts are covered very well, but the only the main enemies are mentioned. I was expecting a an encyclopedia-like guide to each enemy. I hope they do come up with a detailed and thick Resident Evil encyclopedia in the future. The pictures included are mainly screenshots from the game. And if you've played the game, then this book is like a debrief, a summary of what happened. I'm not sure if this is worth the money for me if that's the case. I prefer the much thicker and more visually beautiful Resident Evil 6 Artworks artbook.